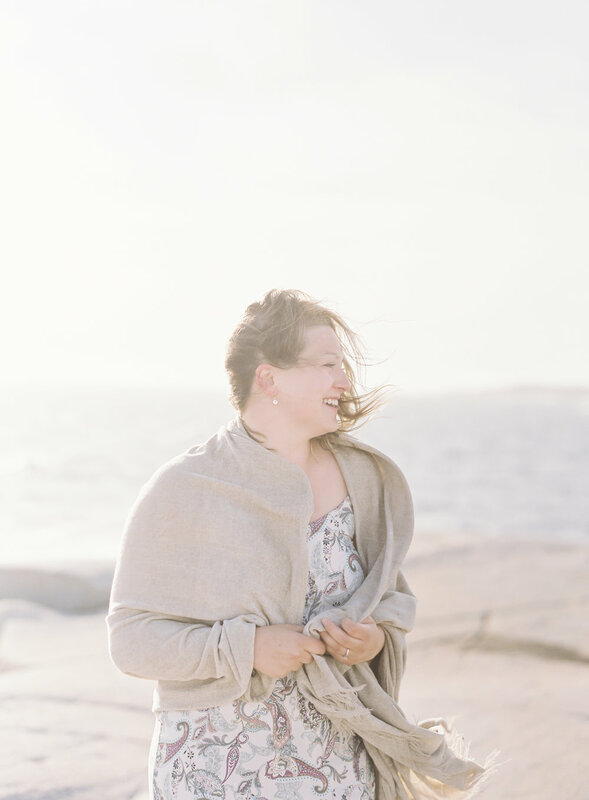 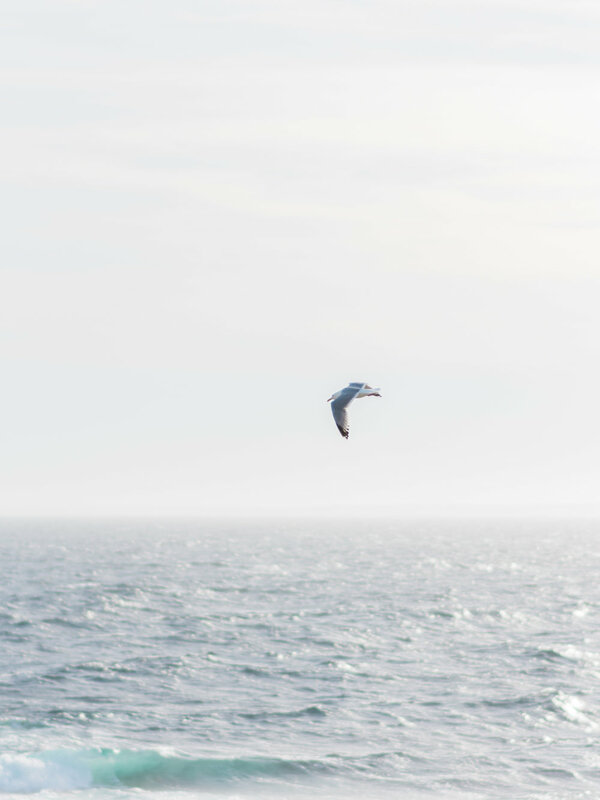 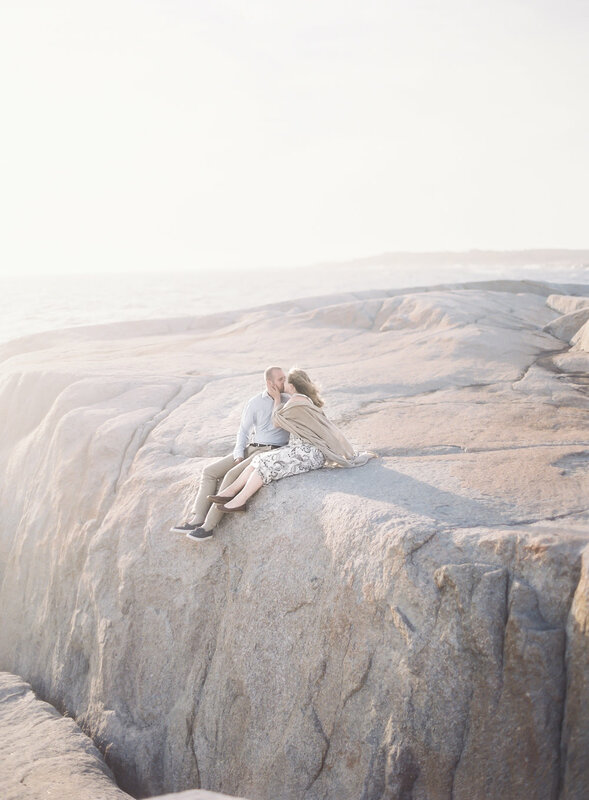 "Andrew proposed to me on a cliff overlooking a small beach in Whale Cove, Cape Breton. 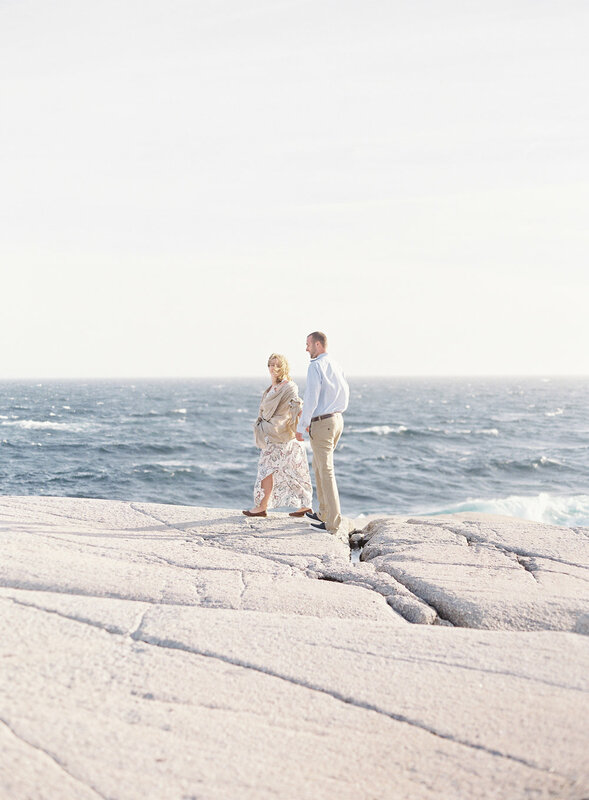 This is where we had our first "road trip/getaway" together." 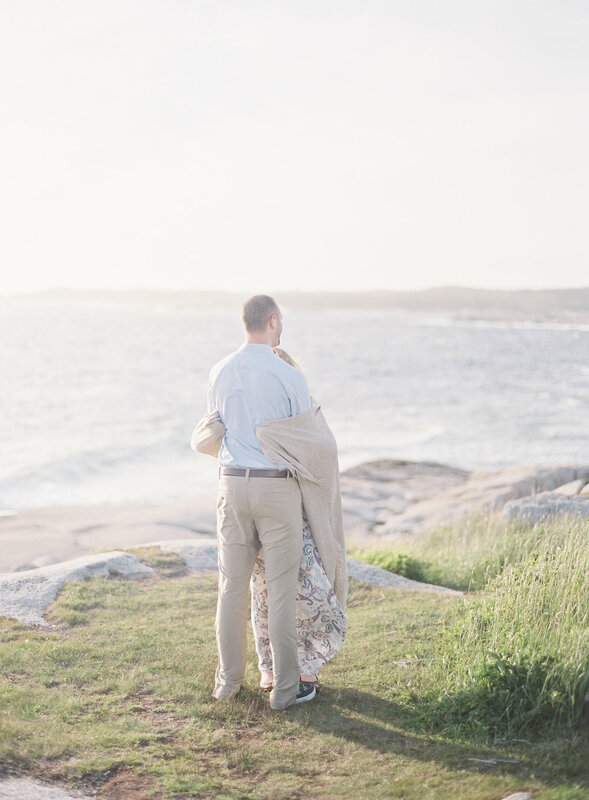 On learning this, I knew that this session was going to be an incredible chance to capture Alexandra and Andrew's love for one another by the ocean. 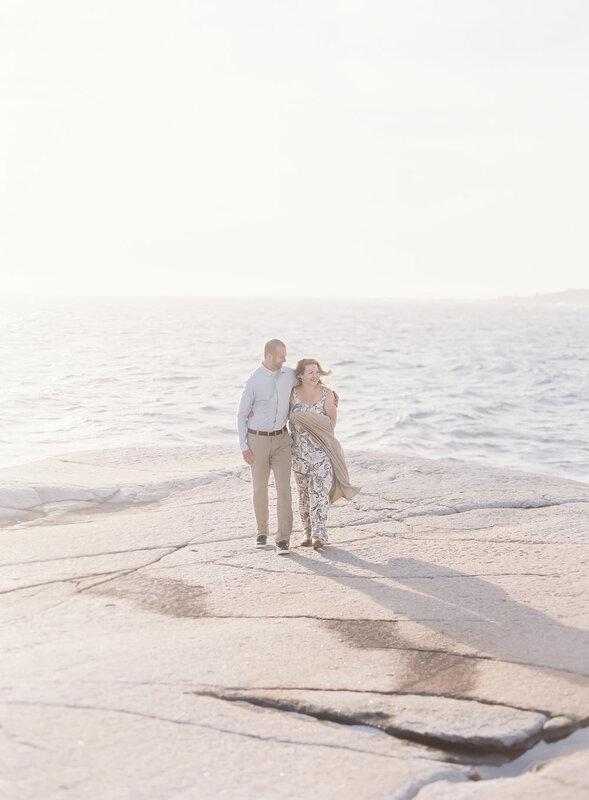 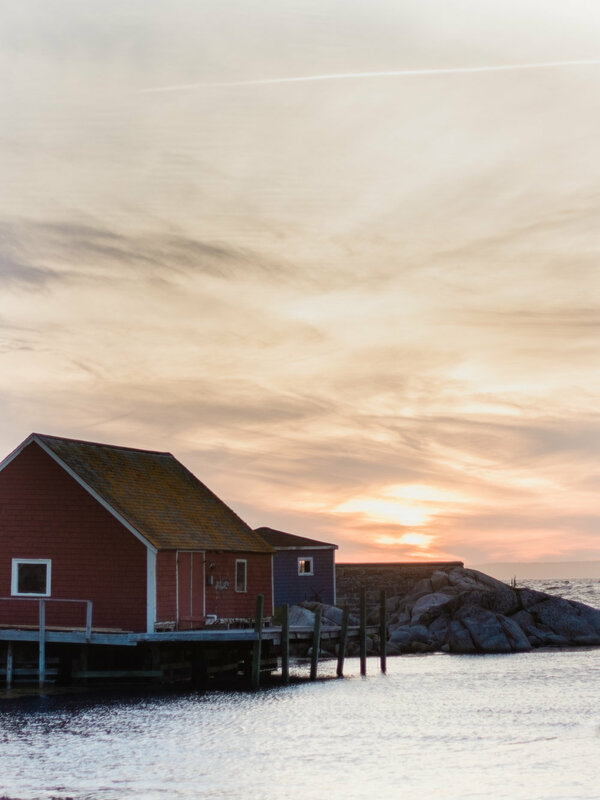 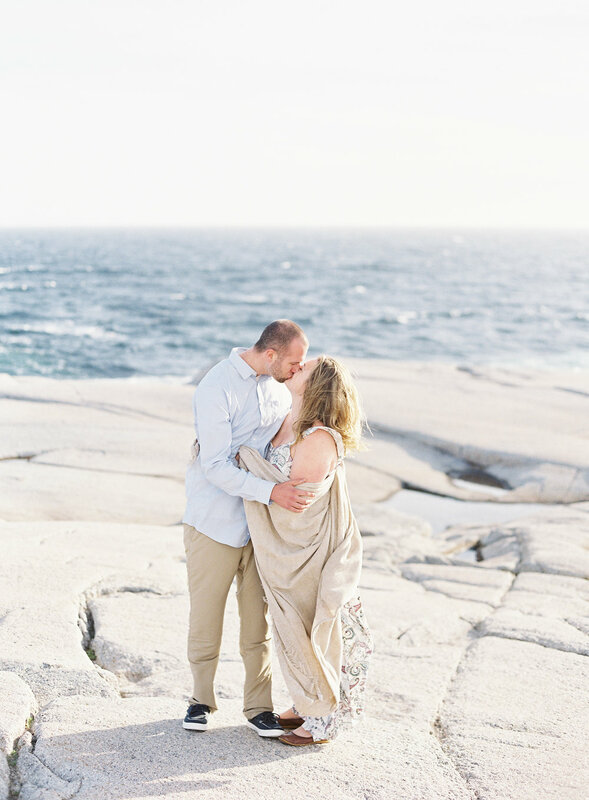 They chose the iconic Peggy's Cove Lighthouse region of Nova Scotia and although the wind was blowing a gale, it was a gorgeous evening to celebrate, cool off from the heat of the day and get to know each other a little better. 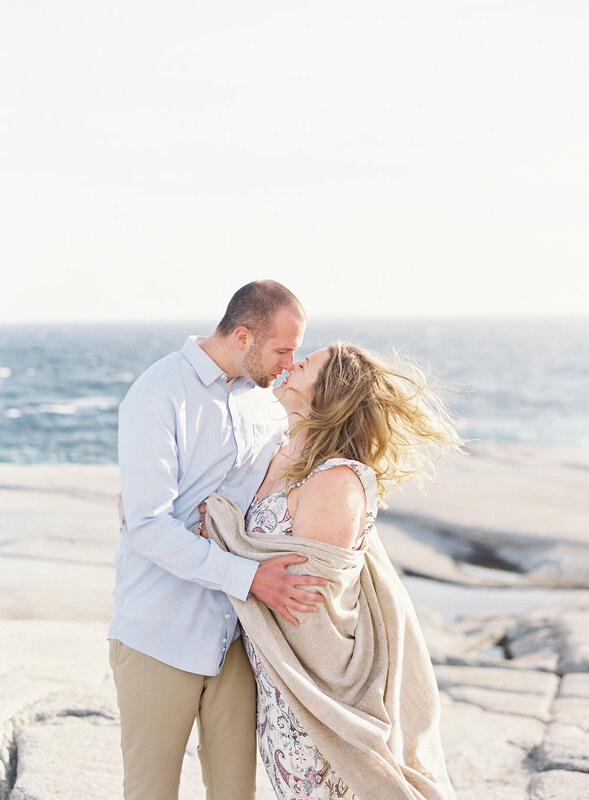 Alexandra and Andrew are getting married in a few short months at Shining Waters Marina and I couldn't be more delighted and honoured to be included in their plans! 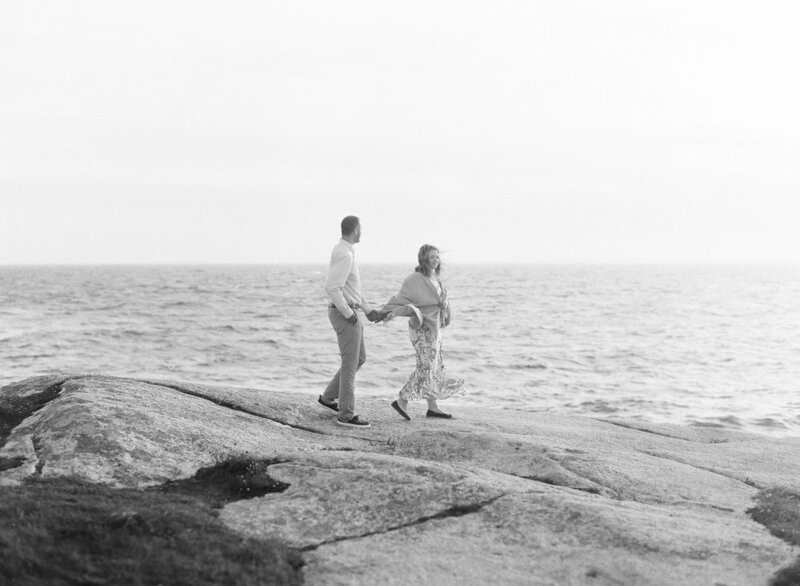 Captured on my Contax 645, Fuji 400h and Illford HP5, scanned by the incredible team at Richard Photo Lab.